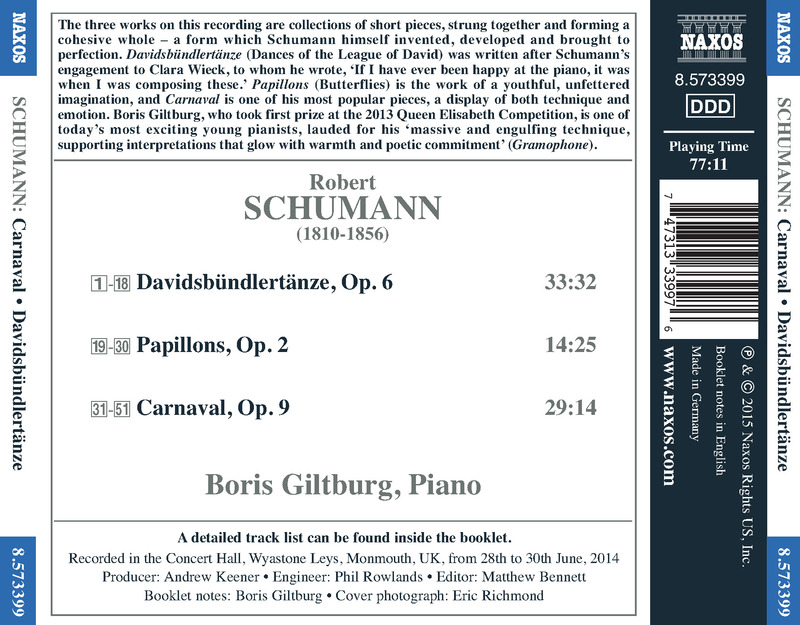 The three works on this recording are collections of short pieces, strung together and forming a cohesive whole–a form which Schumann himself invented, developed and brought to perfection. Davidsbundlertanze (Dances of the League of David) was written after Schumann’s engagement to Clara Wieck, to whom he wrote, ‘If I have ever been happy at the piano, it was when I was composing these.’ Papillons (Butterflies) is the work of a youthful, unfettered imagination, and Carnaval is one of his most popular pieces, a display of both technique and emotion. 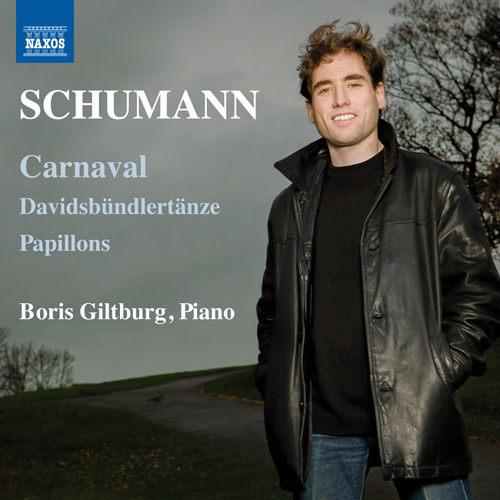 Boris Giltburg, who took first prize at the 2013 Queen Elisabeth Competition, is one of today’s most exciting young pianists, lauded for his ‘massive and engulfing technique, supporting interpretations that glow with warmth and poetic commitment’ (Gramophone).